The walls of Old San Juan still surround the city to this day. Walking along the wall is a great way to see the city. 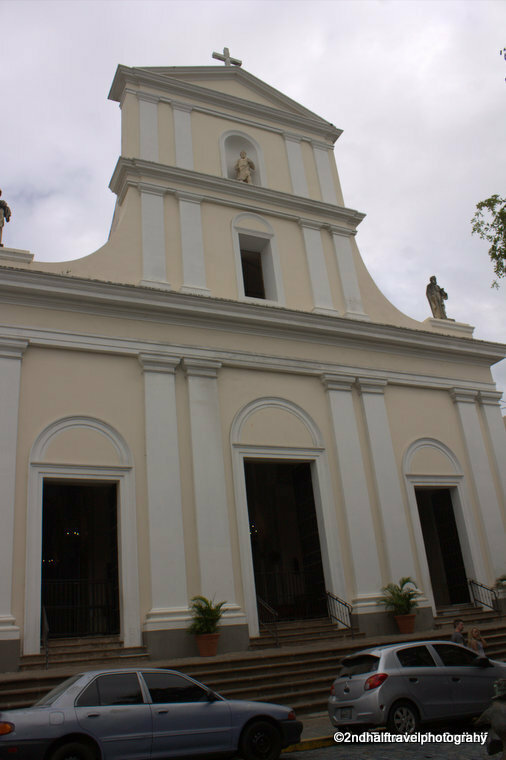 Last week we toured the Paseo la Princesa to the Puerta del San Juan and on to the Cathedral of San Juan Bautista. Today we will continue to the northern side of the city. 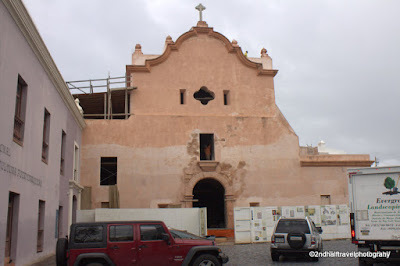 The Cathedral is at the intersection of Caleta de San Juan and Calle del Cristo. Walk north (uphill) along Calle del Cristo. You will pass Hotel El Convento. Built as a Carmelite convent in the 1650’s, today it is one of the premier boutique hotels on the island. At the top of the hill is Plaza San Jose. The Iglesia San Jose, built in 1532, is currently undergoing major renovations, but stop in to Casa de los Contrafuertes gallery. Dedicated to contemporary art work, the gallery occupies one of the old casas de la ciudad, and the chance to see good art and explore an old house are worth the price of admission. You will also find one of my favorite restaurants on the square – El Patio del Sam. This local joint on Calle San Sebastian is a great place to stop for lunch or dinner – good food, good drinks, great prices. Turn left in front of Iglesia San Jose, and walk west to the Plaza del Quinto Cenetario. This open space was built to celebrate the 500th anniversary of Columbus’ landing on the island. At the southern end of the plaza, its highest point, is the Totem Telurico, a 12m (40 ft) tall sculpture by Jaime Suarez, built to commemorate the lives of the indigenous peoples of the Americas, especially the Tainos. At the bottom of the plaza, the northern end, is an interactive fountain. On hot days it is filled with families using the water to cool off. From the plaza continue west to the Curtel de Bellajá. This building was built in the 1850’s by Spain as a barracks for soldiers and their families. It continued to serve in this role after the U.S. took control of the island in 1898. From 1939 through 1955 the building housed a hospital. Today it is home to several cultural institutions, including El Museo de los Americas. You can read my blog about the museum here. 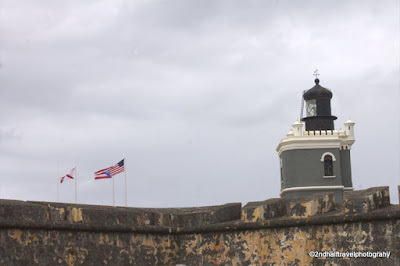 Northwest from El Curtel is El Castillo San Felipe del Morro, called “El Morro” by locals. 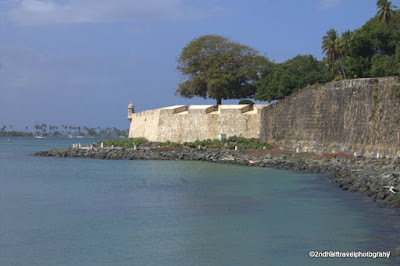 This fort provided security, guarding the entrance to San Juan’s harbor. Today it is a U.S. National Historical Site, and you can take a self-guided tour, or look for one of the historical talks led by a park ranger. In front of the fort is a large open field. 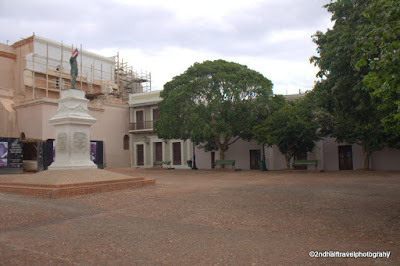 In the past, when the military controlled the fort, this space has served as a parade ground, a golf course and even had a pool for the officers and their families. Today, it is a place where Puerto Ricans come spend an afternoon, have a picnic lunch and take advantage of the winds for kite flying. Below El Morro is the Cementario Santa Maria Magdelena de Pazzis. Built just outside the city walls in 1863, this beautiful cemetery is the final resting place for many of the luminaries of Puerto Rico’s history. 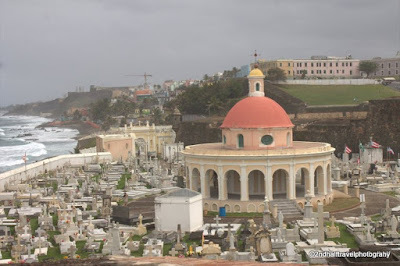 When you are finished at El Morro, walk east along Calle Norzagaray, along the top of the city’s walls. 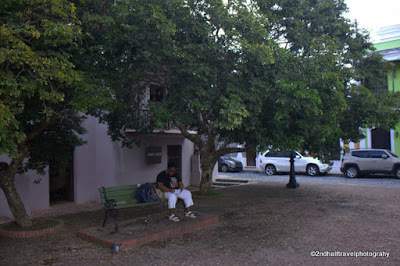 On your right, you will pass some great examples of San Juan’s classic colonial architecture. The Museo de Arte y Historia de San Juan is in a 19th century building that was home to San Juan’s market. All along the street are buildings built when Spain ruled the island. These were some of the nicest, fanciest houses in the city when they were built. 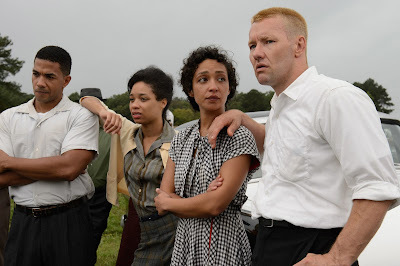 Now look over the wall. There is La Perla. This barrio, stuck between the wall and the Atlantic Ocean, is one of the poorest on the island. This was, until recently, a shanty town, home to the city’s slaughter houses, and former enslaved people and freed black servants, who were not allowed to live in the city. At the eastern end of Calle Norzagaray is Castillo San Cristóbal. 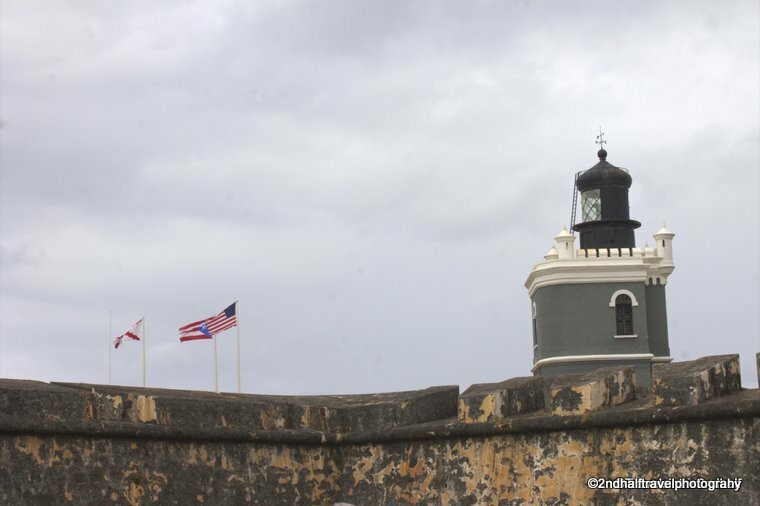 The second fort guarding Old San Juan, San Cristóbal played a key role in defending the city from the British invasion of 1797. 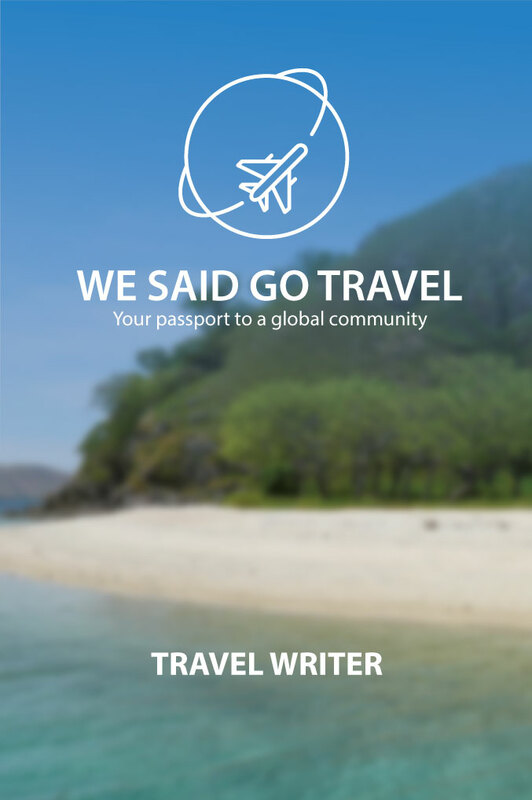 From here you can walk down to Plaza Colón, and the end of our tour.